Imagine a promotional channel in which you can target the gender of a prospect, their age, and their proximity to your practice. Now imagine doing so at a very low cost. This is what social media advertising can do. Maybe you’ve dabbled on social media and have yet to see results. But one month of Tweets and Facebook updates isn’t going to attract a swarm of new patients. It’s the culmination of creating engaging content, building patient community, and running optimized ad campaigns. Traditional advertising – such as direct mail, magazine ads, and billboards – are becoming less and less effective. And while these old-school marketing tactics can still attract new patients, they typically do so with a much lower ROI. Moreover, social media advertising gives you transparent tracking, where you can determine the precise cost per new patient converted. While there are a number of platforms that support social media advertising, we recommend Facebook. Its vast targeting options allow you to hone in on your ideal patients. For example, we could market to young mothers by targeting 23 to 30 year-old females who live within 20 minutes of your practice. Or we could run an ad for prospective geriatric patients by targeting older people. Learn more about Facebook Ads here. 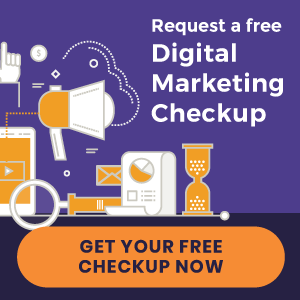 « New Chiropractic Websites Just Launched – Full Potential Chiropractic and more!